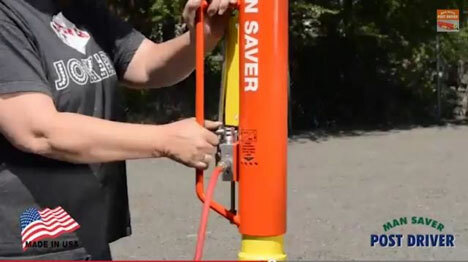 Are you the proud new owner of a Man Saver Post Driver™? 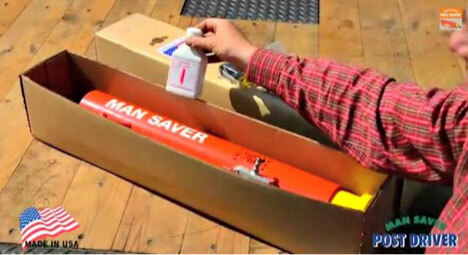 We’re glad you’re here and have a great product demo video on how to setup your Man Saver for success. However, if you’ve owned one for a while and haven’t kept up on the maintenance of the tool, we would like to provide you with a quick overview of how our product works. Read below or watch this video for how to oil the basic parts to keep your Man Saver running like a dream. We will use our most popular model, the 98-E T-Post Driver, as our demo product as it’s the most used among ranchers. What kind of oil should I use in my post driver? We use 20 weight hydraulic oil. Air tool oil is too thin, and it will prevent the driver from continuously cycling, as it’s meant to. Always ensure that your driver is getting plenty of oil by putting 3-4 tablespoons down the compressor end of the air hose before use, and again every 1.5 to 2 hours of use. 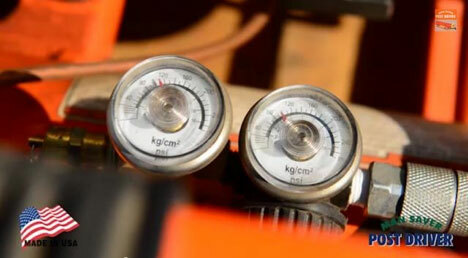 Set your air compressor at the correct PSI setting for best performance. It is not recommended to exceed the advised amount of PSI as it will have an adverse effect on the performance of the Man Saver. If the ground is hard, have you tried changing out the plastic weight on the “on/off” lever with the heavy, metal weight? The plastic weight is for light pounding while the heavy, metal weight is for hard or rocky soil. This small change can help. How do I know if there’s a problem with the O-rings? Place the driver on a post that’s already in the ground. Hang onto the long orange handle on the side of the driver, and when you turn the air on, hold the driver in place, not allowing it to move up. It should give you a quick spur of air if the O-rings are ok. If there is a problem with the O-rings, it will keep blowing air out of the valve. We do accept returns up to 30 days from the date of purchase for commercial use and 90 days from the date of purchase for farm use. If you give it a try and decide it’s not working out, we charge a $50 restocking fee for returns plus shipping. Exchanges are possible, and a restocking fee is not charged in this case. We look forward to hearing about the projects you’ll be able to finish with this tool. Give us a call at 1-800-980-7599 with any product or service-related questions you might have. We are here for you!